In this blog post, I’m going to go over some of our long term goals, and what you can expect from Scorched Kingdoms in the future. One of the questions I get asked the most is: what is multi-perspective gaming? Well, it is my attempt to create content that can be enjoyed, the way that you choose to enjoy it. I don’t know if this is already a term out there in the world, but I didn't find it during the 3 minutes I spent searching google, so we will assume it’s new. I want to give people the ability to engross themselves within the world of Ethalios on any scale. 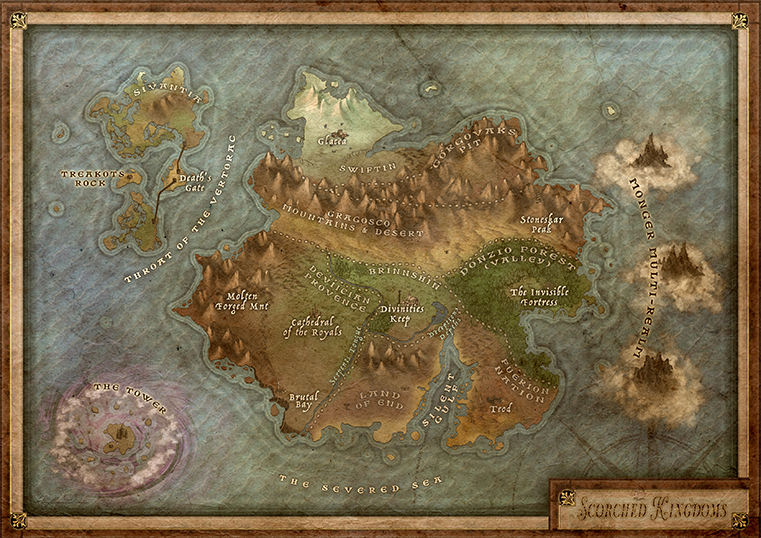 To do this, the goal is for the Scorched Kingdoms world to actually be broken up into 3 games. I know that there are games out there that have done similar things in the past. Most of these are video games, so I thought Scorched Kingdoms was a fresh spin on that idea. I hope the personal integration I’m trying to create will make for a completely new experience. 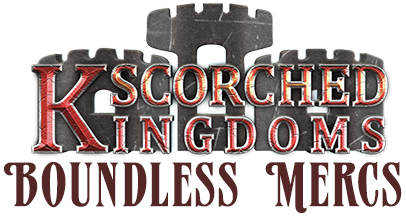 As we speak, the first game, Scorched Kingdoms, is about 85% done. The last 15% is mainly artwork and finalizing the pricing for material and shipping. So we should be able to go straight into the Kickstarter, and hopefully from there get the game out to everyone quickly. This first game is based around small scale battles, pitting 2 clans against each other. Clans are the size of small cities, and there are many within each nation. This will be the most straight-forward of the games, and made for quicker and more competitive play than the later ones, which will come in the future. The game will be getting continuous updates of new clan decks within each nation, and expansions to each clan; eventually creating unlimited strategies, and making clans more compatible with others of their nation. Later this allows for powerful alliances between clans of all nations. The game is designed to be a deck-builder in the old sense of the popular trading card games, not drafting like most of the new games have been adapting to. There will not be packs or anything of that nature either. Everyone will know what cards they are getting in each deck and expansion, so there will be no paying-to-win, just plain old strategy, like it should be. While the first game is expanding, development of the second game will slowly begin. Currently, this is only drawn out as concepts. If things keep going as they are right now, it could be play tested and in development in the summer of 2017. I don’t want it to sound like I’m already jumping ship on anything when I say this though. None of the development going into the second game is going to interfere with the release of new content for this game. Much of the content has been created, and is just in a bottleneck right now, due to having only 2 artists lending me a hand. 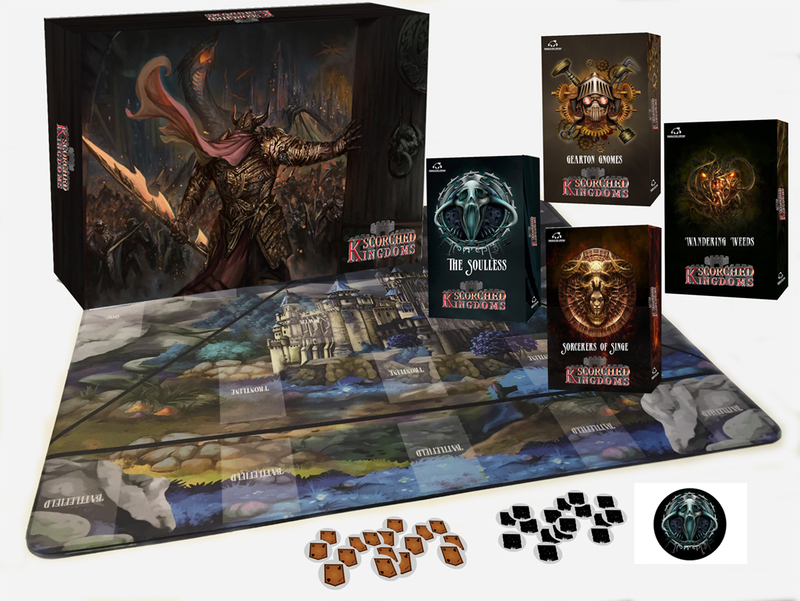 This second game, codename “Scorched Kingdoms: Lords of Ethalios”, will be a much larger game in scale. It will be built upon the map of Ethalios, much like the game Risk, for those that are familiar with it. You will be able to play this game with 2 to 8 players, with each player starting as a Nation of their choice. Each Nation will have special abilities, and will have a large engine-building system, to add new clans, cities, and larger armies. That’s all I can give away right now for the second game, sorry. So now we’ve discussed the ability to command clans for smaller battles, and conquer entire Nations as Lord of the Land. It’s time to get a little more personal. The final and largest installment that has been worked on, will be our story driven, role playing game. This gives everyone the ability to play as an individual within this crazy world. There are around 15 races and 15 classes that have been created, and only very loosely designed so far. Anyone that plays, or has been interested in Dungeons and Dragons (D&D) will feel right at home with this game. All 3 will have the ability to be played as stand-alone games. You won’t have to own anything from the others to play just one of them, but the point is to make it so you have the ability to integrate things from each game together if you want to. It’s okay if it’s not all making sense yet, that’s what the end is for. The big game changer will hopefully come in the form of our online database, which people will be able to log into. This is where you will build yourself as a character into all 3 games. Any race, class, skills, and equipment you choose or obtain in one game, will have a factor on that same character when built into the others. It will be created with a print model, so you are not paying to do this, unless you later choose to have actual cards or mats made. Of course this is just a look into the big picture of what I’m trying to create. I’m talking about a lot of time to get everything out and running properly. The main goal of this post was to show that it doesn't end here. If you decide to join me on the Kickstarter coming up, I wanted you to know that what you're joining is only the beginning. I’m committed to making something great, and I hope you will come along for the ride. As always, thanks for visiting! I’ll see you next week! Don’t forget to come find me everywhere else. I try to post info about the game every day, and you don’t want to fall behind!